Higher National Insurance contributions announced in today’s Budget will hit farmers, self-employed farm workers and contractors, leading rural insurer NFU Mutual has warned. 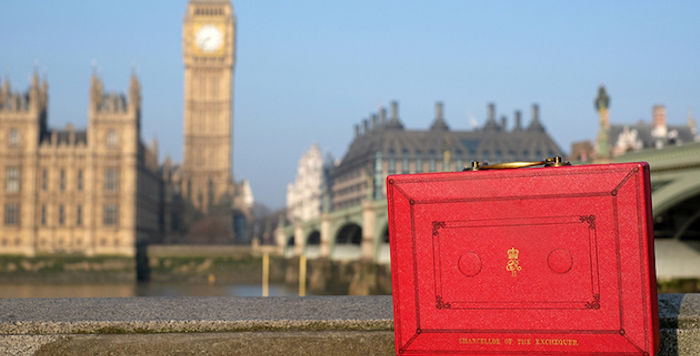 In his Budget speech Chancellor Philip Hammond announced that Class 4 National Insurance payments will rise by 1% to 10% next year, with a further 1% rise to 11% in 2019. NFU Mutual chartered financial planner Sean McCann said: “This move could signify that over coming years the Treasury will bring self-employed people’s National Insurance contributions up to the level of those paid by employees – currently 12% for basic rate taxpayers. But he added: “It’s a huge relief to country people that that the Chancellor did not impose penalties on diesel vehicle users aimed at reducing pollution in urban areas which we had feared could hit farmers and rural businesses hard. “There was also welcome news for small businesses that the Government’s planned introduction of statutory quarterly tax returns will be delayed for a year, easing their administration costs. NFU President Meurig Raymond said: “There were few measures in today’s Budget to help create an environment that supports profitable, progressive and competitive farm businesses. “The Chancellor’s announcement on capping business rates increases (at £50 a month) will be welcome news to members with small diversified farming businesses. “However, the rise in National Insurance Contributions for the self-employed by 1% next year and a further 1% the year after will have a detrimental impact for farmers. The NFU is striving to make government aware of the implications this will have on the sector. “We are still very concerned about Government proposals on Making Tax Digital. While we welcome the announcement that it will be delayed until April 2019 for businesses under the VAT threshold, many of our members will still be impacted with a costly and burdensome process of accounting from April next year.